How can I change the language in my account? 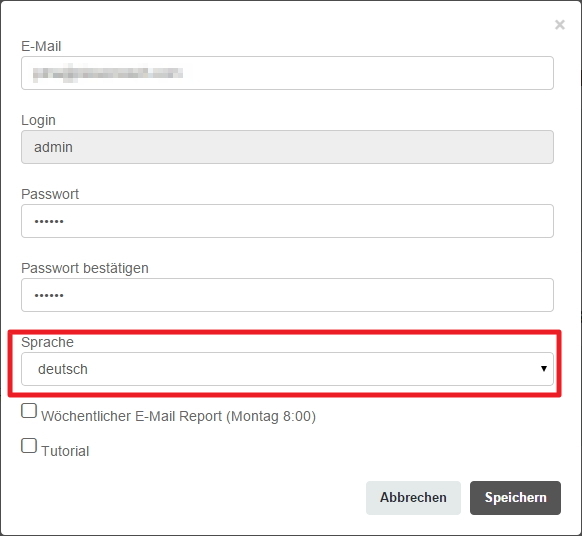 The language can be defined when setting up access to an account for a new user. You can also change the language of the account when logging in. Find out how to add further users to your account here. Within this menu you can change the language at any point in time. To quickly change your language please click [Grey User Symbol] > [Profile] at the bottom left. This will show you a menu in which you can change the language for the CleverReach user interface.